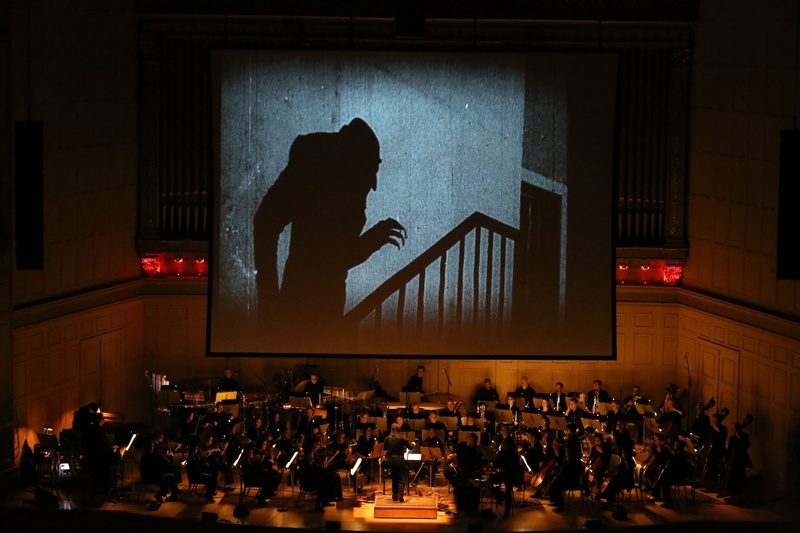 The Boston Pops Esplanade Orchestra and Berklee College of Music performed a live score along with a screening of "Nosferatu: A Symphony of Horror" on Friday evening. The night before Halloween, the Boston Pops accompanied the classic horror film “Nosferatu” with a brand new score composed by eight students from the Berklee College of Music. 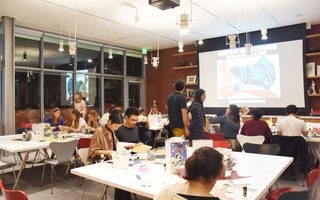 While this screening of “Nosferatu” revived the classic traditions of silent film, it also innovated upon the genre, using unorthodox instruments such as the Theremin and a modular synthesizer. This Roving Reporter ventured into this eccentric mix of Halloween horror to ask the composers, audience members, and even a theremin player what they thought of the screening. Roving Reporter: Is there a scene where “Hotline Bling” can be incorporated into the score? MS: When Ellen Hutter calls Nosferatu through her window. That’s definitely “Hotline Bling” material. RR: What does Count Orlok [the vampire in “Nosferatu”] do when it’s not Halloween? HM: I imagine he summers in France, where the steak is rare and the coffins have a Parisian flair. RR: How do you think “Nosferatu” manages to be scary without all the blood and gore? KC: It’s all about the psychology. We imagine the monster, and we tailor him to our fears. And after we have spent so much time coming up with the monster, we can’t help but feel invested in him. The Crimson's roving reporter takes on the Cambridge Queen's Head Pub on Friday night as five Harvard bands battle for a slot at this year's Yardfest.